Wohoo! Finally I was able to do something that my heart desires. I always wanted to be a water color artist but I don't have or lack the ability to water color. 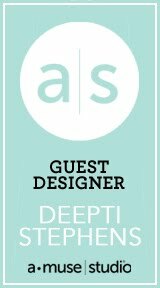 This is not my own design. I saw a few images on Pinterest, loved them, pinned them and just tried one of those images. You can find the inspiration pic HERE :) The illustration was by Magrikie, you can find their gorgeous work HERE. I used Koi Water Colors to paint images. I kept the inspiration image in front of me and drew the same with a slight changes. It took me less than 20 mins to complete this art work. By the way, the water color paper I used was Canson Montval 300 GSM. I started by stamping all the images from Dream (yep! I turned the feathers into trees), Home for Holidays (Car) and Year Four (birdie and balloons) in Catherine Pooler's Midnight Ink. I water colored all the images with Koi Water Colors. I fussy cut the images and kept aside. I took a white card stock, ink blended the background with Vintage Photo (ground) and Broken China (sky) distress inks and also added splatters of water for some texture. Next stamped the sentiment from Toboggan Together on a strip of white card stock with Midnight Ink and adhered all the images on my card with Tombow Glue and Foam Tape. Hello everyone! 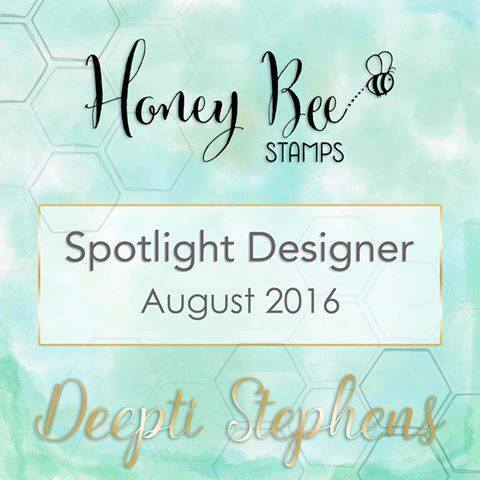 I almost forgot to share the card that I made for Honey Bee Stamps (yep I was on their design team). Here is the super gorgeous floral card made using Happy Everything and Country Wreath stamp sets. I die-cut the Delicate Feather out of Vellum card stock and heat embossed it with Ranger Gold Embossing Powder. I took a white card stock and ink smooshed the background with Mermaid Lagoon Distress Spray Stain and also added splatters of Egyptian gold Pigment Paint. Next adhered the feather over ink smooshed area with Tombow Glue. Onto the strip of white card stock I stamped the sentiment from Simply Stated by CP designs with Versamark Ink and heat embossed it with the same gold embossing powder. 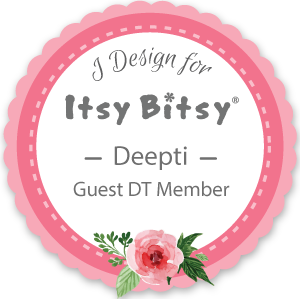 Watch and learn the beautiful projects such as cake toppers, gift tags, birthday cards and decorations which can be downloaded on Sizzix Uk site. 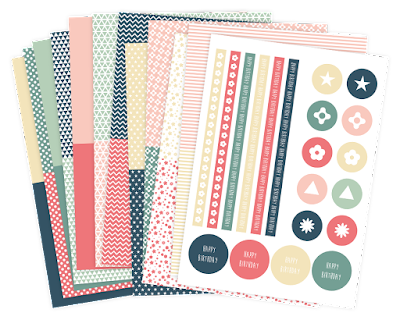 They've also created some paper designs which can be downloaded and printed to use on birthday project makes. Here is another rainbow card made using the brand new products from Catherine Pooler Designs. Making this card was pretty simple. I ink blended the top portion of the background with It's a Boy ink, added splatters of water for some texture. 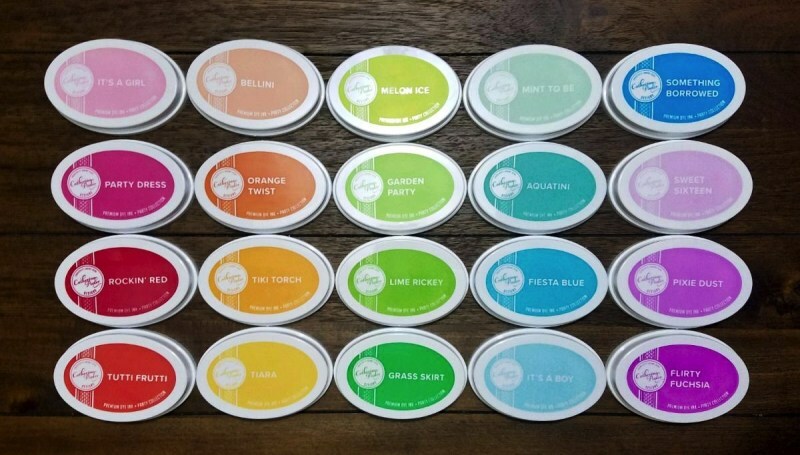 Next I die-cut the circle dies to form a rainbow and colored them with Pixie Dust, It's a Boy, Garden Party, Melon Ice, Bellini and It's a girl inks. Next I die-cut the word Happy word from Spot on Sentiment Dies Bundle and adhered it onto the rainbow. Beneath that I stamped Mother's Day from Simply Stated stamp set in Midnight ink. You can check my previous posts HERE and HERE. For this card I used Melon Ice ink, Dotted Circle Dies, Yay Stripes and Lovely Flowers stamp set. I just reversed the stamp, inked up the solid portion and stamped onto the card base. Hello everyone! Welcome to the Spring Fling Release Blog Hop. 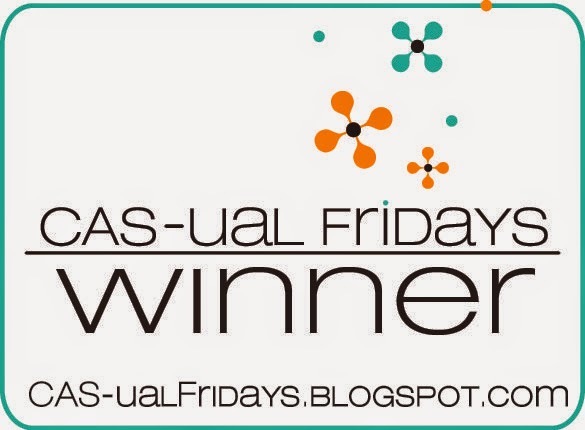 If you have arrived from Melissa's blog then you are right on track and your next stop would be Lydia's blog. If you miss any spot kindly start from HERE. 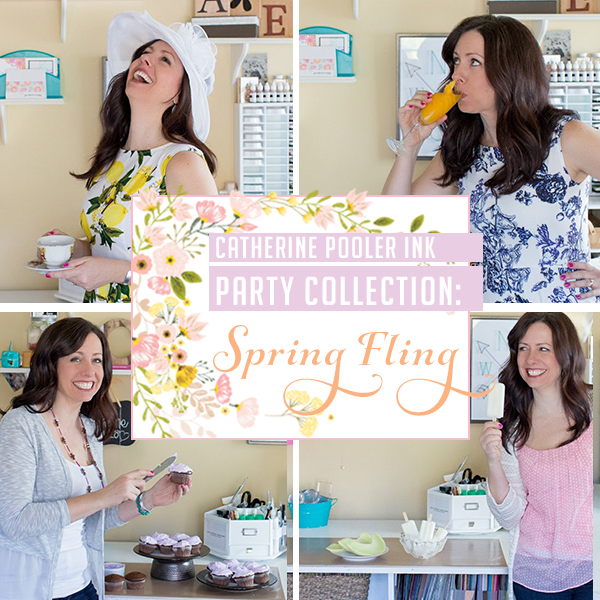 This Spring Fling Collection Bundle is all about launching EIGHT new inks in pastel shades by Catherine Pooler Designs. Catherine launched Five colors in November, 2016 and the next colors in January, 2017. You can learn about these inks HERE. 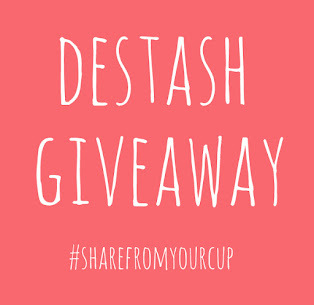 Today we are celebrating the release with a blog hop. 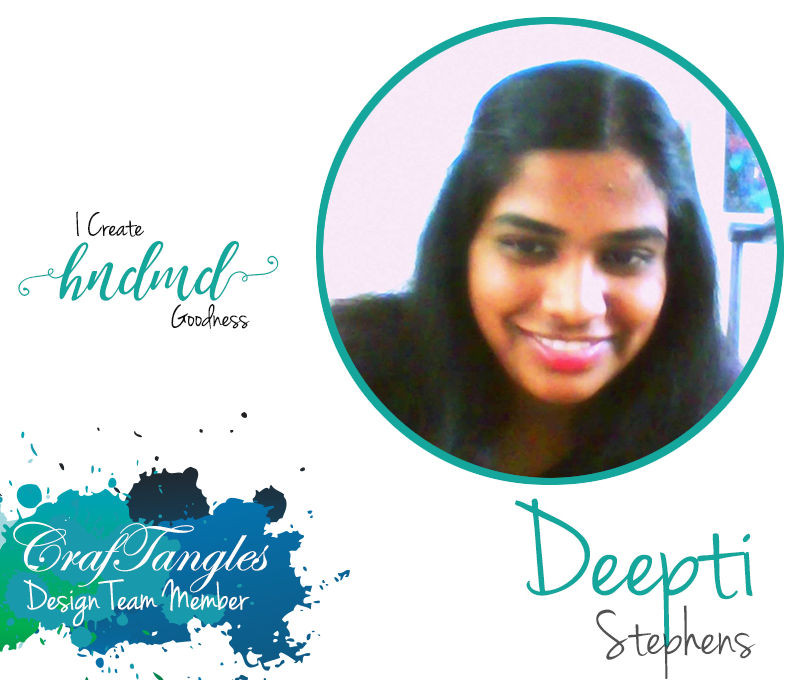 Myself and all the lovely team members created some beautiful cards for you. So be sure to stop by on all the spots for a chance to win these yummy inks. 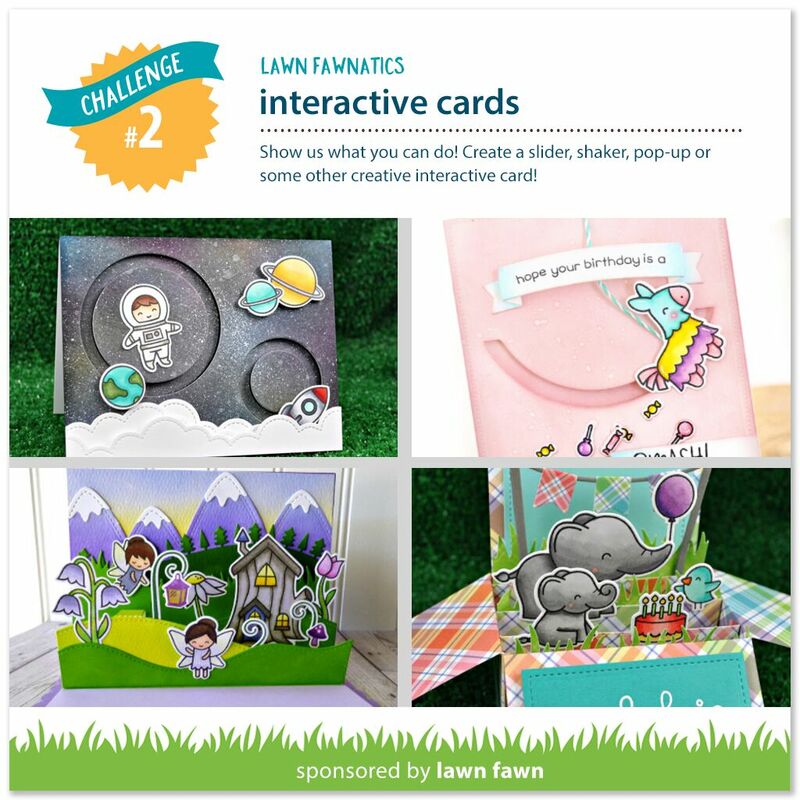 I've already created a few cards with The Spring Fling Collection, you can check my previous posts HERE and HERE. So I am here today with three cards for you. The first card features the new inks - Pixie Dust, It's a Boy, Melon Ice, Bellini, It's a Girl and Mint to be. And this card also features the brand new dies and stamp set - Circle Dies and Simply Stated Stamp Set. I ran the Circle dies through the Big Shot Express Machine and colored them with the colors mentioned above. Next I die-cut the circle out of white card stock and colored the inside portion of the main card base with Mint to be Ink and adhered the rainbow as shown above. Finally stamped the sentiment on a strip of white card stock from Simply Stated stamp set with Midnight ink. As my filler stamp I used a bird (stamped him twice with Midnight ink to achieve that grey color) from Wonderful Wreath - SOA Lovely Notes Collection. And that finishes my first card! For my second card, I took a white card stock slightly smaller than the main card base and stamped the pretty flowers and leaves from Lovely Flowers - SOA Lovely Notes Collection in It's a Girl, Mint to be, Melon Ice and Sweet Sixteen. Next I placed 'congrats' from Spot On Dies and ran it through the Big Shot Express Machine. I die-cut congrats twice and adhere all three together to form a chipboard like embellishment. Next I adhered it on to card stock, you can actually see the how the word just pops out of the card stock. Finally I adhered the sequins here and there to finish my card design. Here is my third card and this card features New Inks - It's a Girl and Melon Ice, New Dies - Circle Dies and New stamp set - Simply Stated. I die-cut the circles out of white card stock, cut it into half, water colored them with It's a Girl and Melon Ice inks and turned them into beautiful watermelons. Yes you can absolutely water color the images with Catherine Pooler Inks. I drew a few seeds with a black permanent marker. I adhered all the melons randomly on an A2 top folding card. I stamped the sentiment from Simply Stated stamp set on a piece of Vellum card stock with Midnight Ink and adhered it onto the card base. Lastly I finished the card off with a few clear sequins. Hop on and be sure to leave comments on all the spots for a chance to win this yummy goodness. 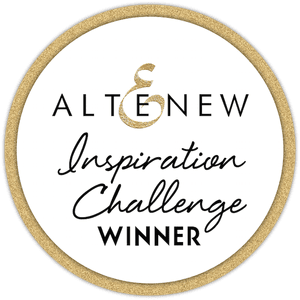 Catherine Pooler will randomly choose 3 winners from all the blog hop comments to win a set of ink (or a gift certificate equivalent if you already purchased). All the entries will close at 24th, Monday noon! 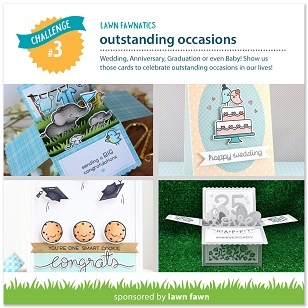 Yesterday, I've shared a few cards made using Catherine Pooler - Spring Fling Bundle Collection. You can check my post HERE. Today I am here with a lovely Mother's Day card made using brand new Circle Dies, Spot on dies, Simply Stated stamp set, Bellini, It's a boy and Midnight inks. I have used Peppermint Background stamp from the previous SOA - Candy Cane Lane Collection as my filler stamp. Colored the flower with Bellini ink and the petals with It's a boy ink. Also die-cut 'Happy' out of white card stock and colored it with It's a Boy ink. Finally adhered everything together, stamped the sentiment with Midnight Ink and added sequins here and there! 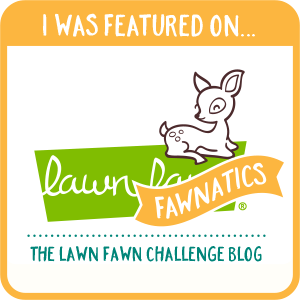 Be sure visit the blog tomorrow for a special event. All these products will be available in the store on April 20th. For more details visit catherinepooler.com. Hello everyone! 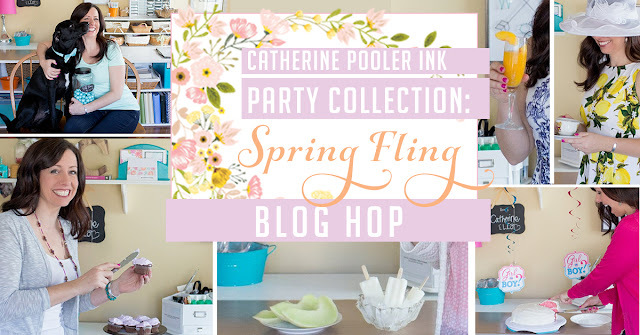 Today I am here showcasing the new inks from Catherine Pooler Designs and this collection is called Spring Fling Bundle. 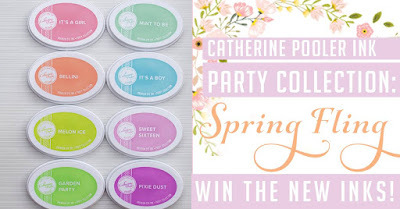 In November Catherine Pooler introduced Five colors and they all came in the Foundations Box. 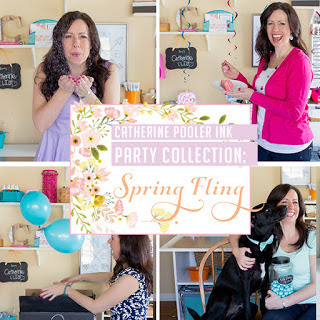 You can check my Foundations Box and Catherine Pooler's Ink Party Collection. 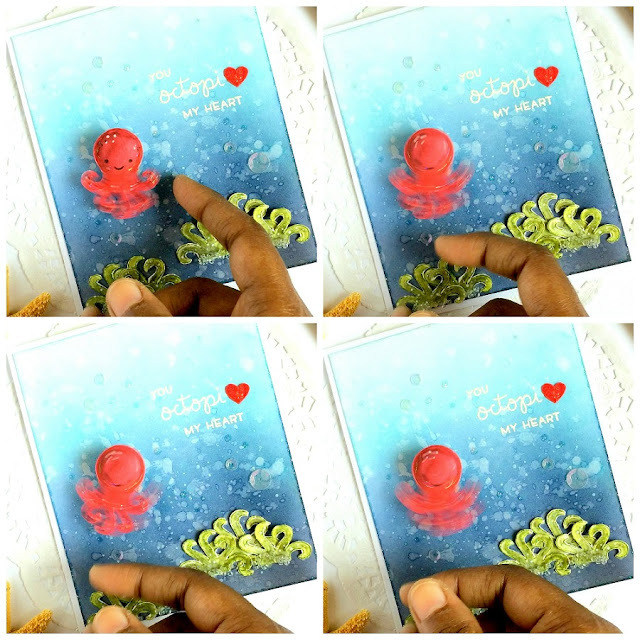 So today, I am here with three simple cards with the same design but used different colors. For the first card I used _____ ? (participate in Guess Game) For the second one I used Bellini which is a nice Peachy tone. I stamped the lovely flower and sentiment from Simply Stated Stamp set with Versamark Ink and heat embossed it with Gold Embossing Powder. I ink blended the background with Bellini Ink and added splatters of water for some texture. I did the same on this card also. I used Sweet Sixteen Ink for the background and used Silver embossing powder. Along with the inks she also introduced a few beautiful products. Do check HERE. All these products will be available in the store on April 20th. I started by ink blending the background with Black Soot, Chipped Sapphire and Peacock Feathers Distress Inks and I blended the inks over and over again until I am happy with the results. Then I added splatters of water and picked up the excess with a tissue paper for some beautiful texture. This already looks like deep down in the ocean ( never been there but have an idea from the pictures). To add more depth and interest I added splatters of white paint - Picket Fence and Stardust Stickles. To resemble the plants in the ocean (seaweed) - I stamped the Octopus from You Octopi My Heart | Lawn Fawn in Peeled Paint Distress Ink and colored only his tentacles. To add more depth, I mixed Peeled paint + Black Soot and colored over again. Next I stamped the Octopus in Festive Berries Distress Ink on a piece of white card stock and distress water colored him as well. Fussy cut him, placed the Mini Wobble behind him and adhered him onto the card base. Lastly stamped the sentiment with Versamark Ink and heat embossed it with Zing White Embossing Powder and finished the card off by adding a few sparkling clear sequins. And I didn't miss the heart this time also! ;) added next to the sentiment.